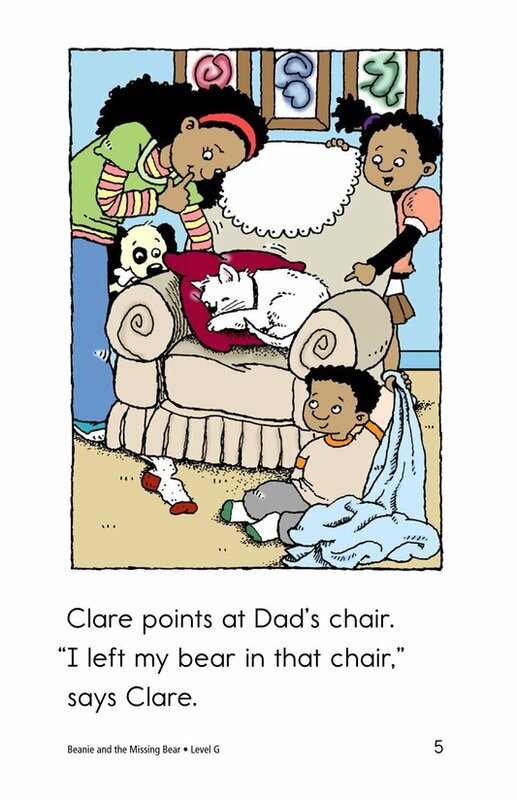 Clare can't find her toy bear. 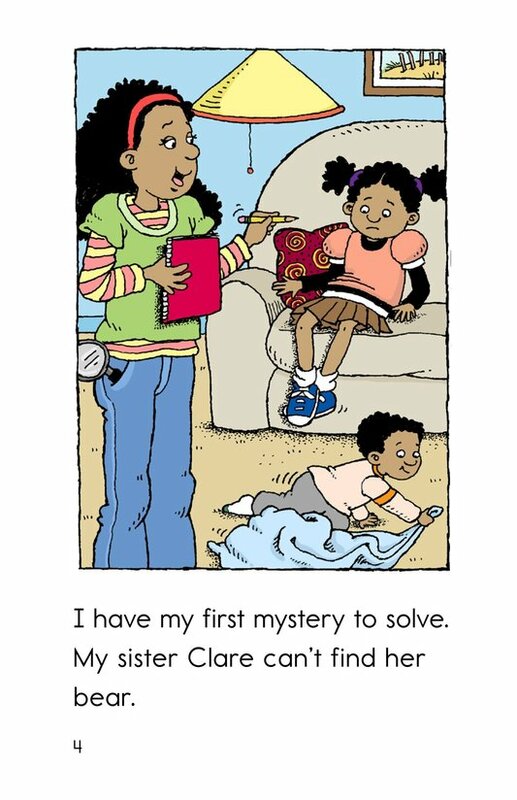 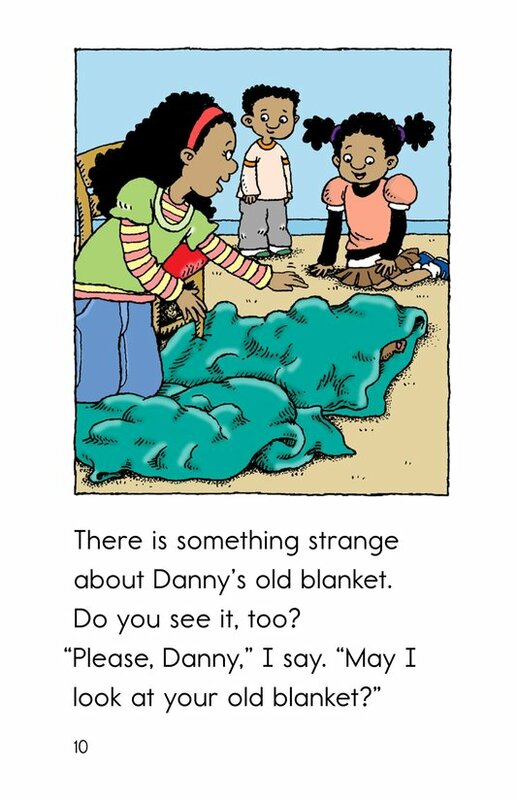 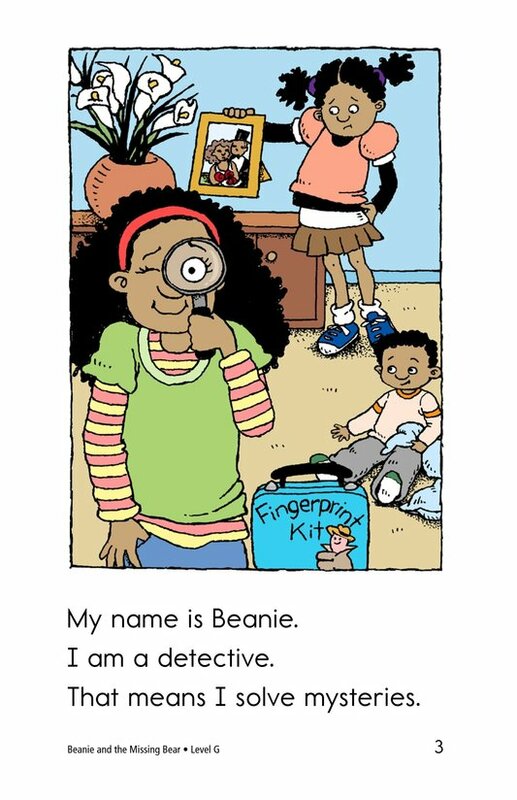 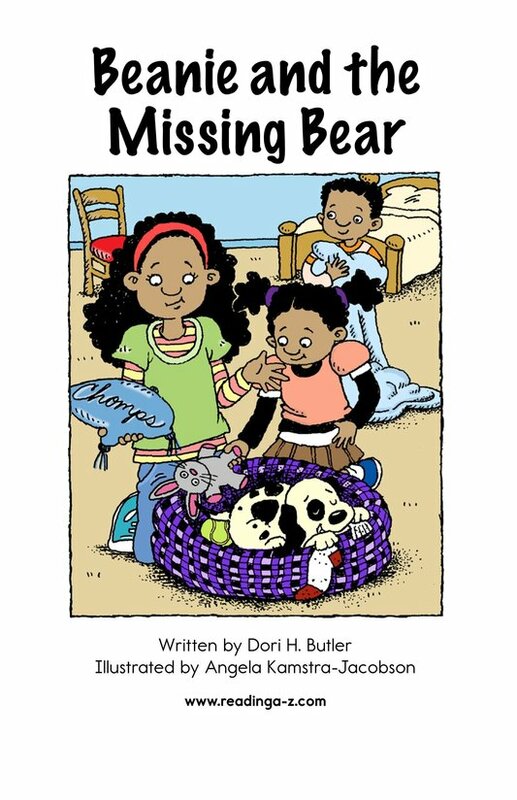 Her big sister, Beanie, pitches in to help solve the mystery. 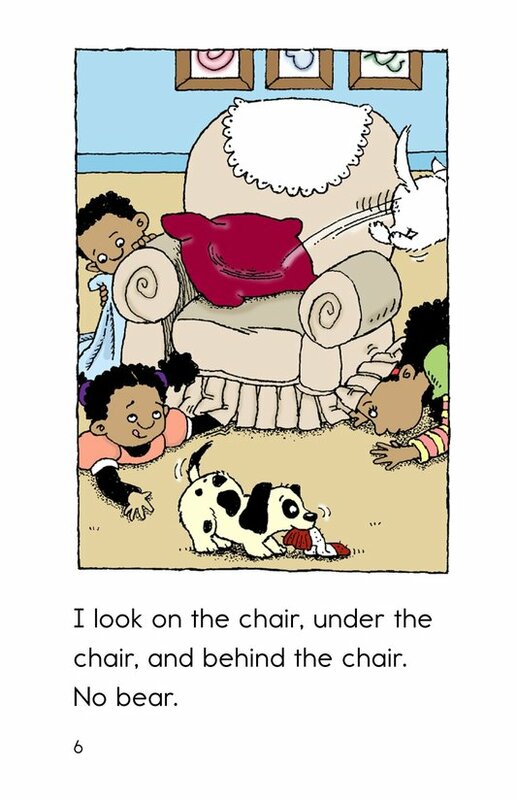 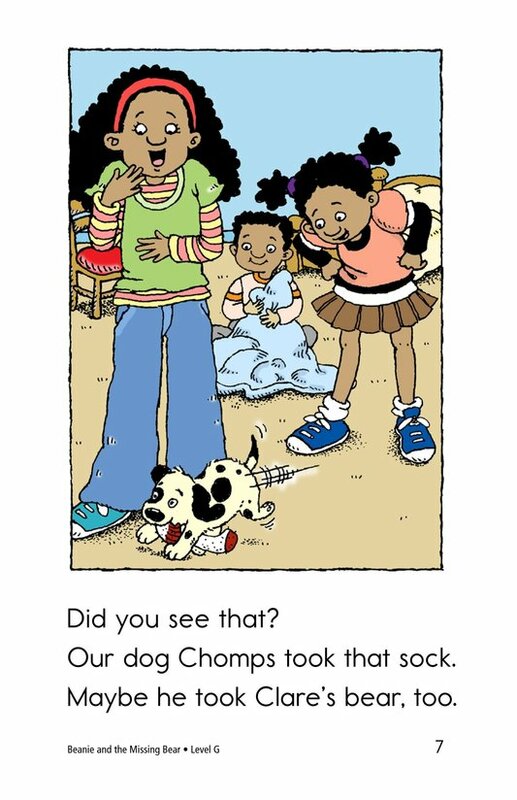 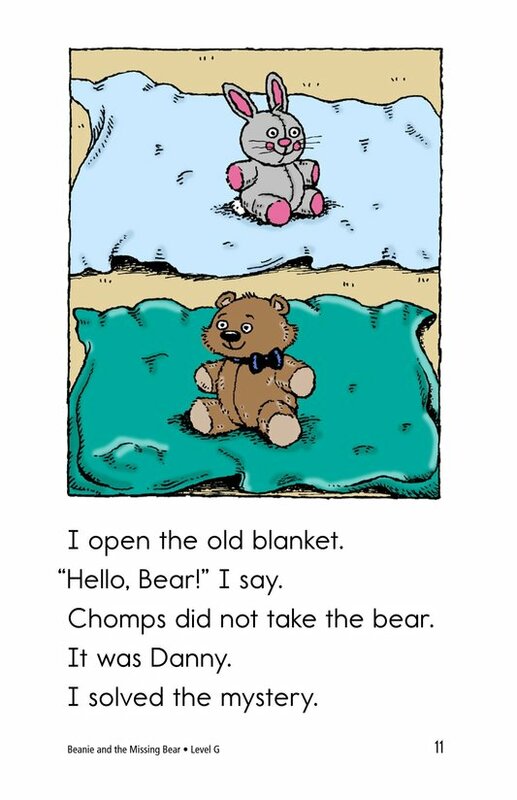 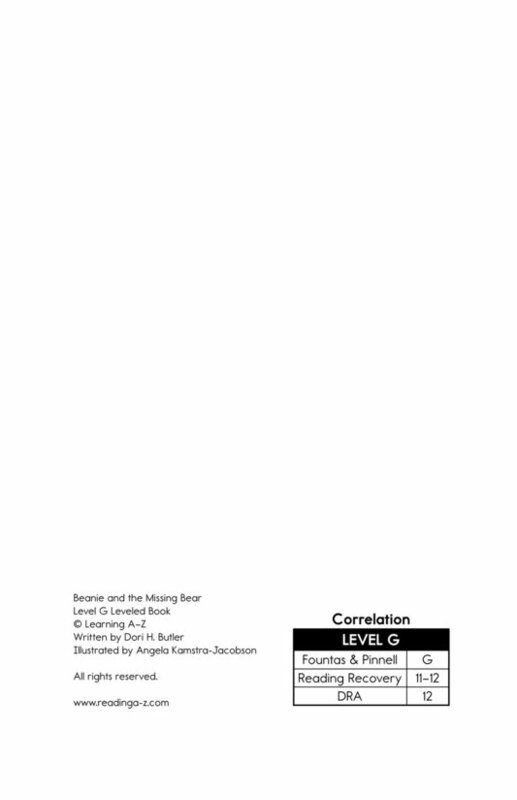 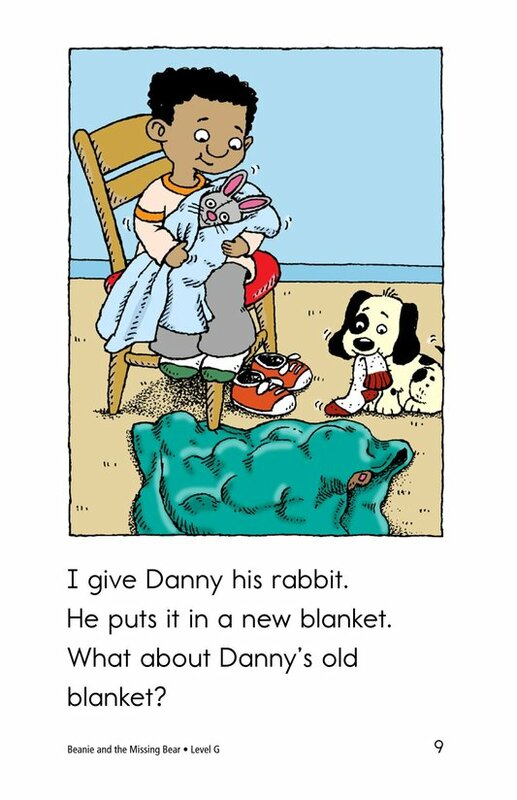 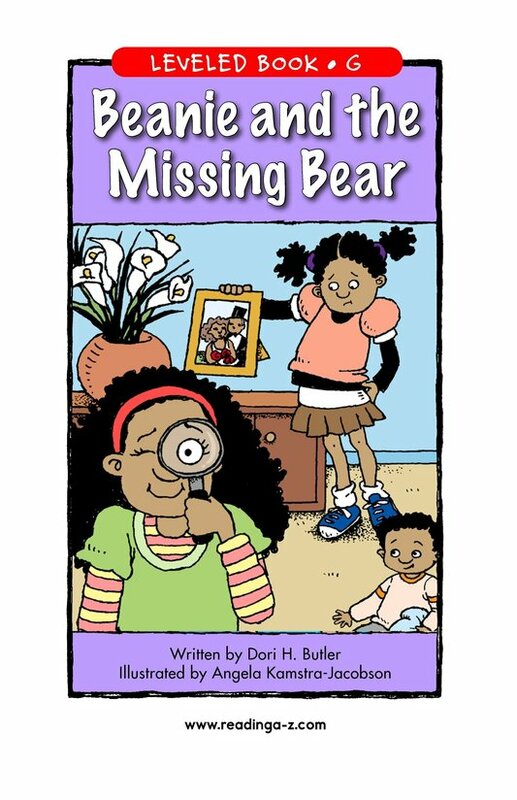 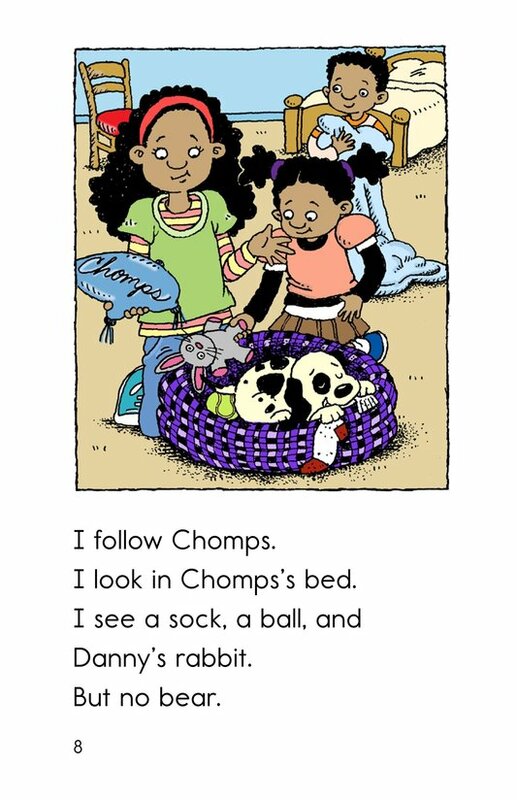 In the end, the clues and the story illustrations lead the reader to the bear's hiding place.